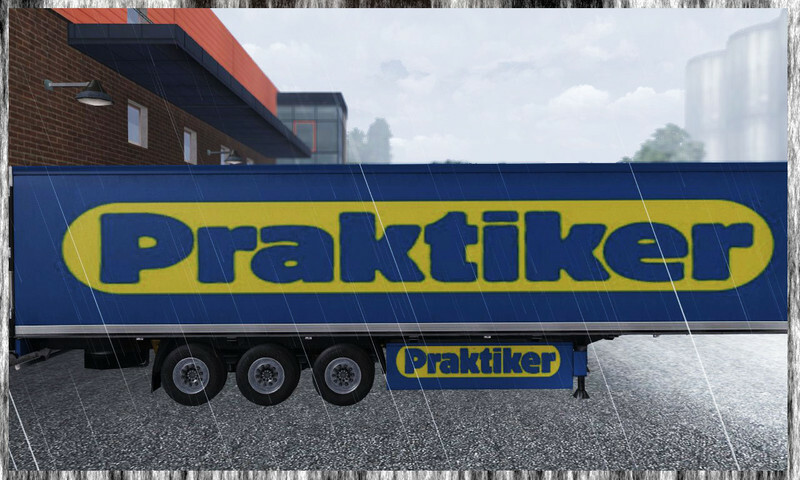 This is a simple trailer mod that add a trailer with Praktiker colors. It will replace any trailer that involves EuroGoodies. This mod has been tested by members of our staff with no conflicts reported. It should be noted however, that conflicts may occur with this mod if other trailer modifications are applied. This trailer mod has been tested with differents version of the game with no reported conflicts. However, as with all with trailer mods conflicts may start if you use additional mods. *This mod may not work with other trailer mods that replace EuroGoodies! Current time: 04-23-2019, 05:29 PM Powered By MyBB 1.8.20, © 2002-2019 MyBB Group.